Steven joined Caisson in 2010 from Valad Property Group (ex-iO Group) as non-executive Chairman. 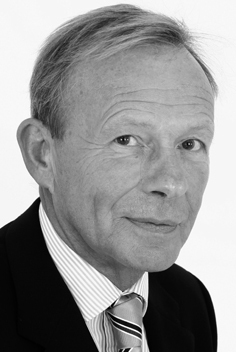 Steven brings 35 years’ experience in the property industry, and is a multi-let industrial specialist. He was Managing Director of the iO Group during the expansion of its portfolio from £80.0m in 1995 to over £600m in 2002 when he oversaw the iO Group listing as Property Fund Management Plc. Upon the eventual take over of the iO Teesland Group by Valad Steven agreed to become fund manager on two of Valad’s pan-European multi-let industrial portfolios: European Industrial Partnership (EIP) and Euroind High Income (EHI) with €1.2bn of assets acquired, and the Parc d’Activités Fund in France, with €0.1bn under management. Steven’s core skills include stock sourcing, operational and asset management. The combination of Steven's experience of the market and extensive contacts within the property industry is invaluable in helping develop Caisson’s assets under management and maximise out performance.